No, not for himself, you silly! (Ahem. Jelly of the month club?! The "gift that keeps on giving"?! Anyone?) For Cousin Eddie's dog, Snots! My gosh, have you seen what that dog eats?! Eww! 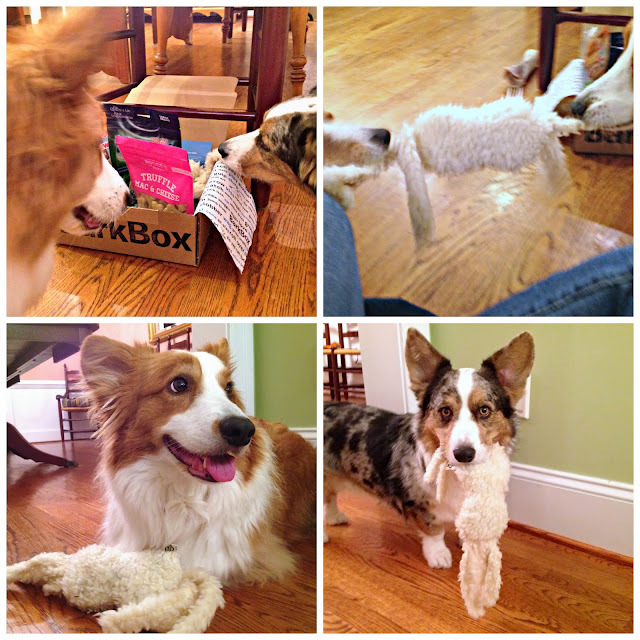 This post is sponsored by BarkBox, but I wrote it, and dangit, I mean every word! Alright, now that we're clear on that, I have to ask: Do you need to get someone "who has everything" a gift? Concerned that the generic gift card just isn't personal enough? 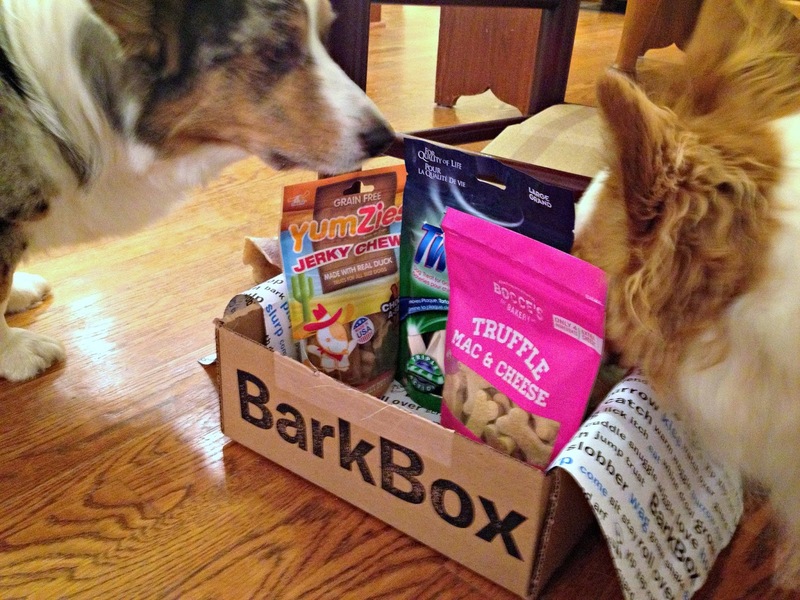 Well, let me offer a suggestion: Give them (on behalf of their dog) a monthly BarkBox subscription! BarkBox in a nutshell: A monthly box of dog goodies! 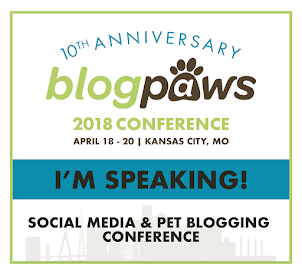 Okay, in a BIGGER nutshell (in mostly their words): BarkBox is a (NYC based) company that aims to surprise and delight with monthly gift boxes for dogs. 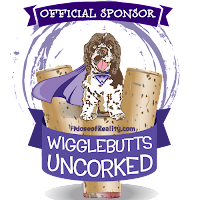 Each box is packed with a combination of 4-6 all-natural treats, cool toys and hygiene products - things you won't find at the typical big-box pet store. The people at BarkBox put lots of thought, research, and time in creating each month's box, from only choosing high quality vendors using top ingredients in their treats, to observing their own dogs putting certain toys to the test. For more on the story behind the boxes, go here. 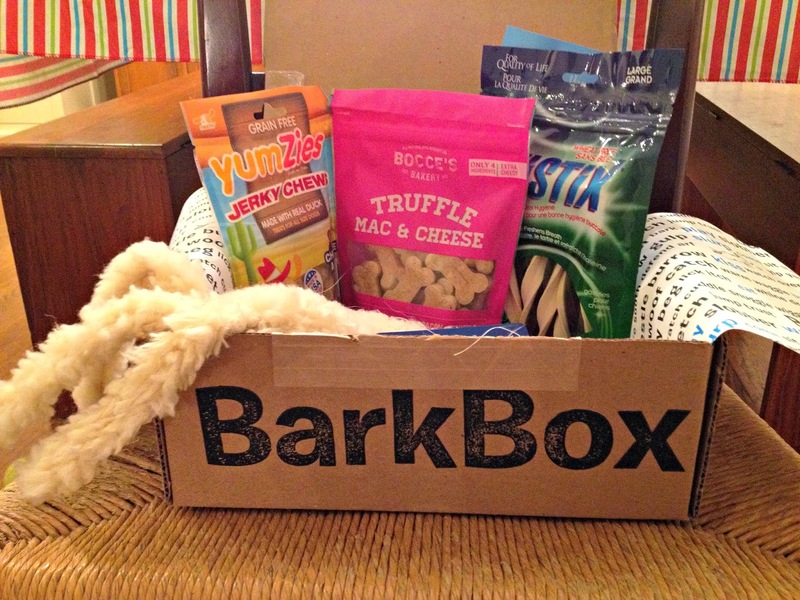 BarkBoxes are available for small, medium and large dogs, all for the same price. Hint: If the recipient's dog is a power chewer, consider upsizing to the next larger size. 1. 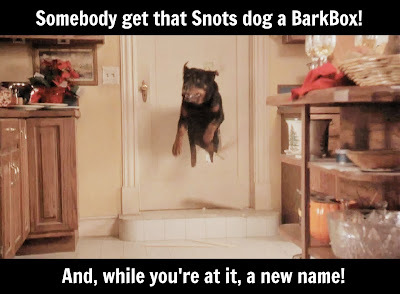 Those who have (and ♥) dogs. Yes, that would seem to be a given; I'd just like to make it clear that BarkBox toys and treats are for dogs (not people, cats, birds...or even seals or sea lions - even though they bark). Mother load of dogness, what's this?! All BarkBox treats are sourced from the USA and Canada, and chews are sourced from the USA, Canada, South America, Australia and New Zealand. Sounding like a possibility? Well, hold on; I have more! "Must keep a straight face. Can NOT let on that I saw a brand new stuffie in that box." They learned how to take turns in puppy kindergarten. Not. (It's called tug-of-war, friends. 3. 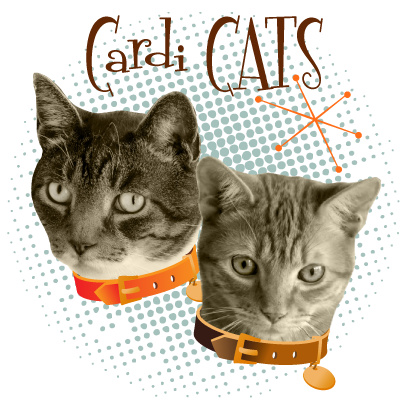 THEY GIVE BACK (10% of revenue) TO ANIMAL WELFARE ORGANIZATIONS, including my local Richmond SPCA! 1. Gift subscriptions are available for 1 month ($29), 3 months ($72), 6 months ($114) and 12 months ($199). The longer the subscription, the better the deal. Shipping is included. 2. You'll need the recipient's email address when placing the order. BarkBox will send the lucky person a (cheerful) email, letting them know they've been gifted and requesting their contact information. 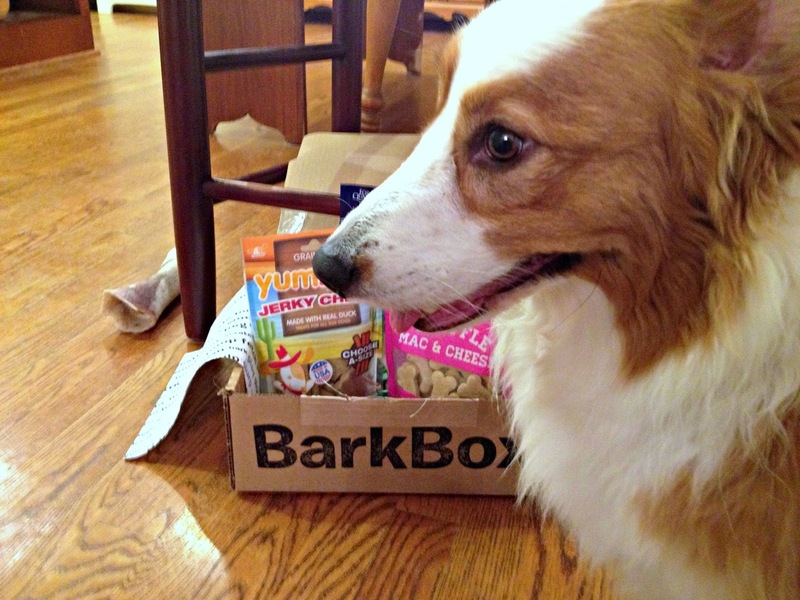 Here's to happy gifting and happy dogs! 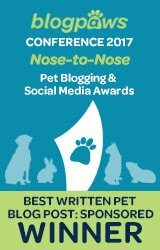 I've written this post on behalf of BlogPaws Pet Blogger Network for BarkBox. 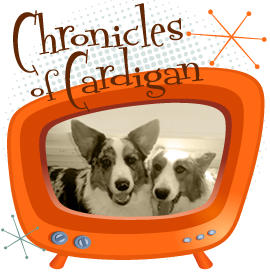 I'm being compensated for helping spread the word about BarkBox, but The Chronicles of Cardigan only shares information we feel is relevant to our readers. 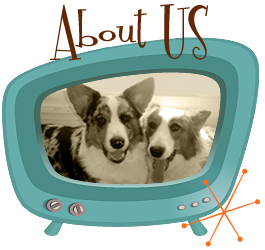 Tip: Hover over the video and click the mute icon to hear Dewi give BarkBox a 4 (out of 4)-bark approval rating! Enjoy your Barkbox and have fun. What a great review! 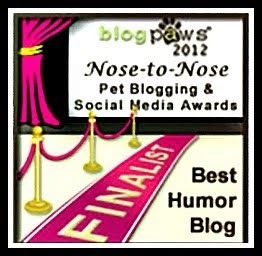 Love your humor lol... Shiner loved her BarkBox too! Especially that Slap Happy toy. 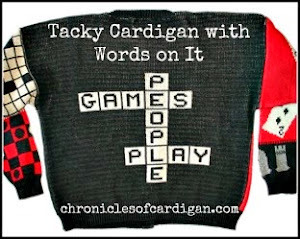 Nice review and what a great gift for any dog owner. We love Bark Box - the November box was especially good and we are anxiously awaiting December! Ruby sure wishes she had a tug-buddy like Dewi or JF!